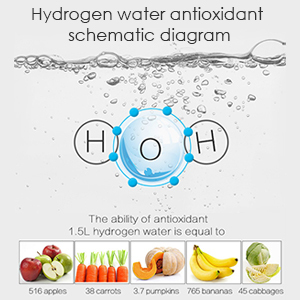 1.Food-grade material: Food-grade ABS, Integration of injection, high quality. 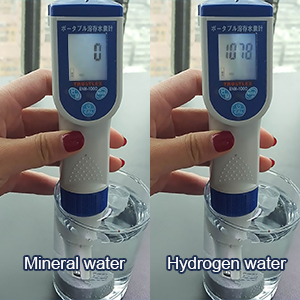 2.High borosilicate glass inner gallbladder:heat resisting,anti-explosion,safe and non-toxic. 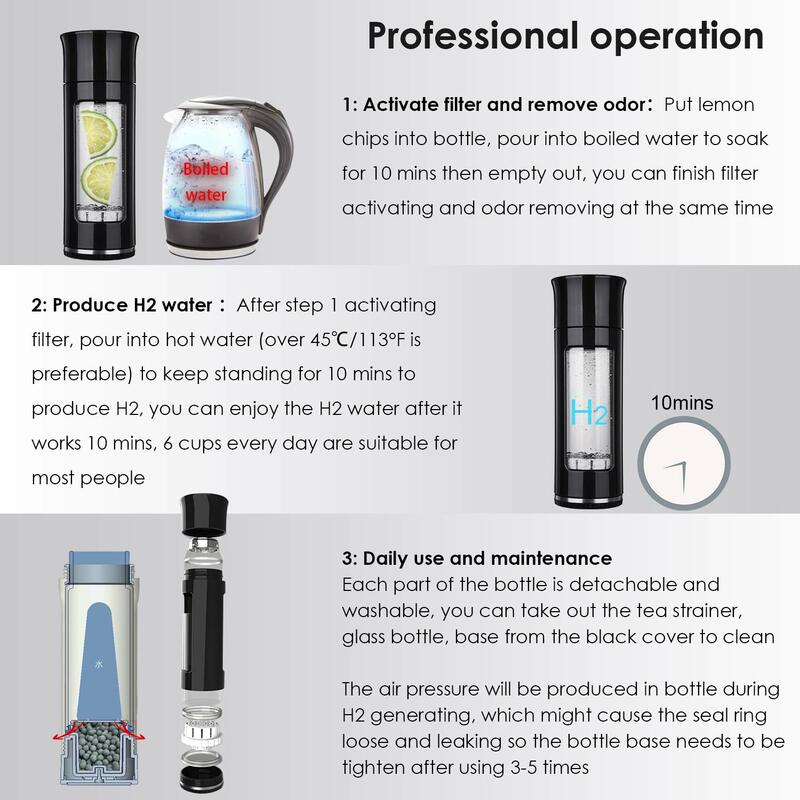 3.Both cold water and hot water are acceptable: hydrogen concentration will be improved 30% by hot water. 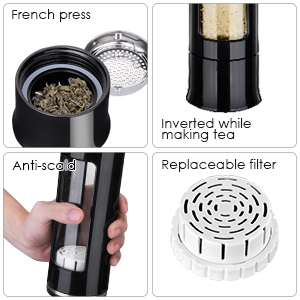 add some tea then close it, add hot water in bottle then keep it upside-down so that the tea can be steeped in hot water. 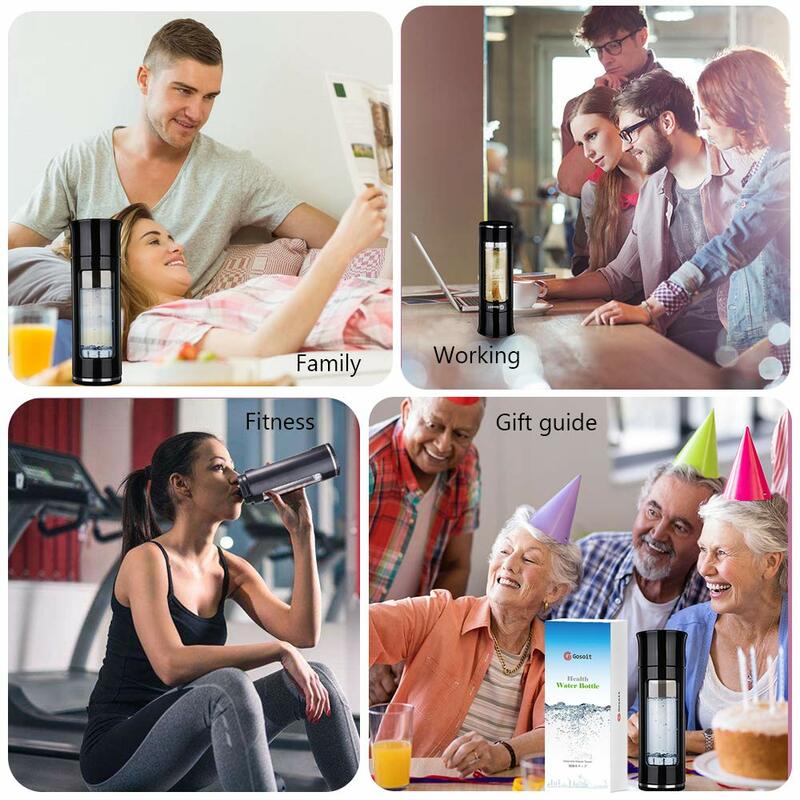 With the enhancement of personal health care consciousness, while considering purely thirst-quenching and replenishing water, it gradually transforms into health, nutrition, and beauty. 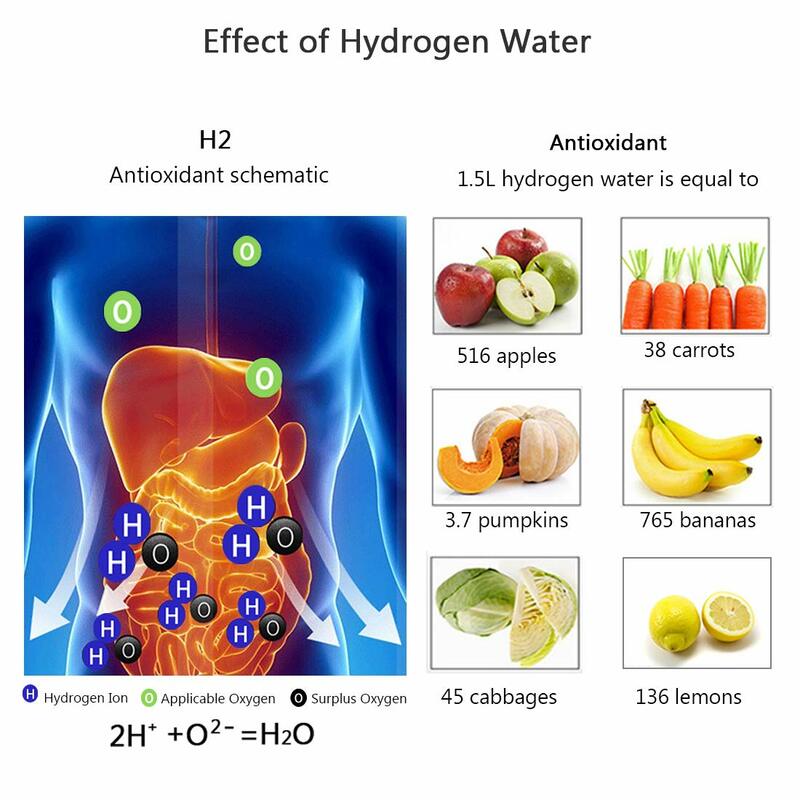 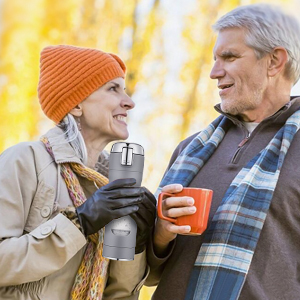 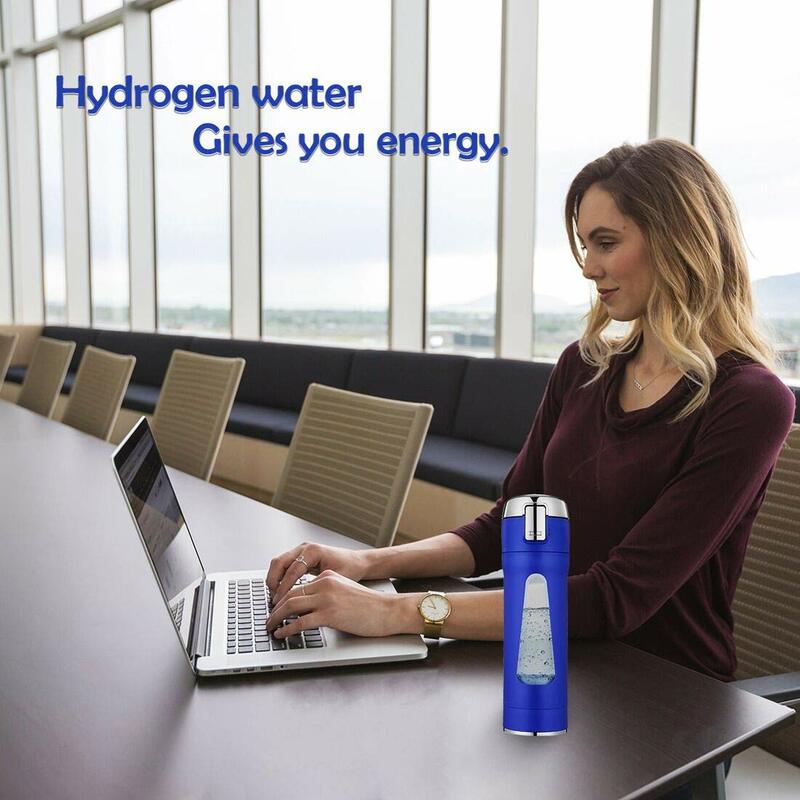 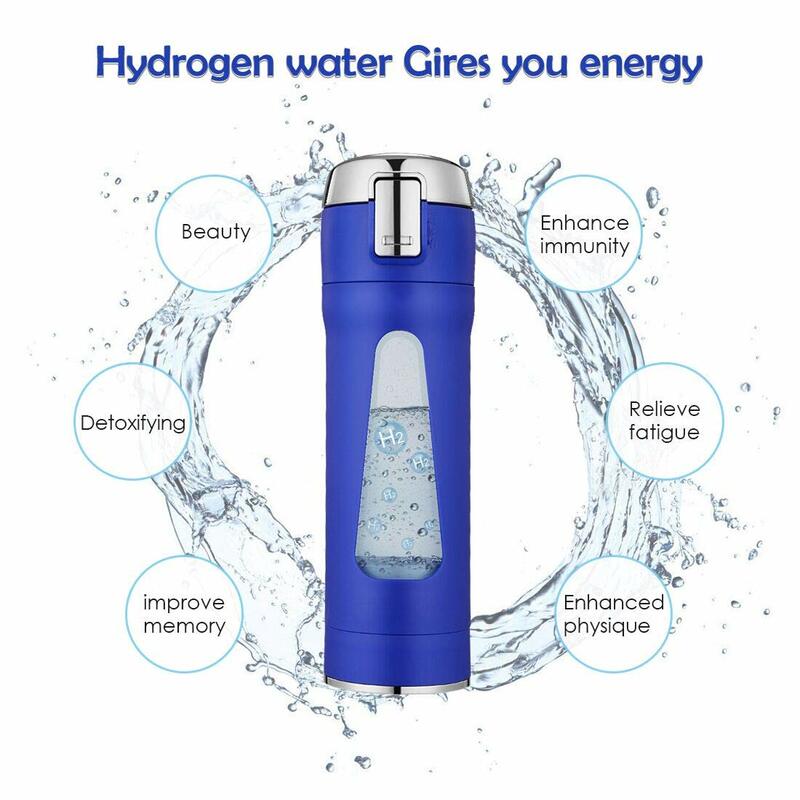 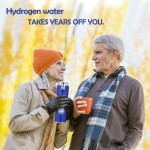 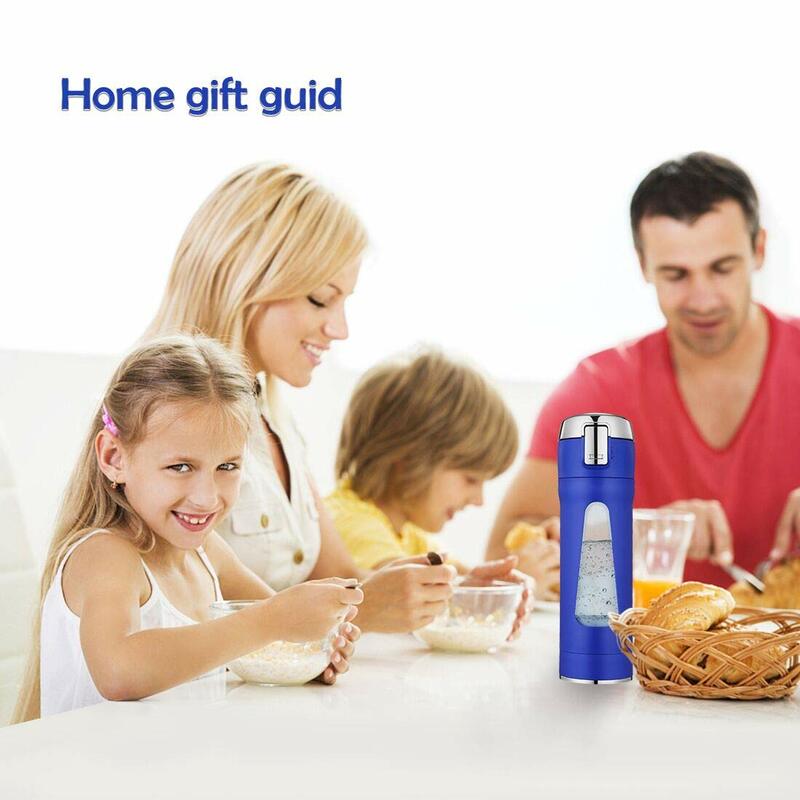 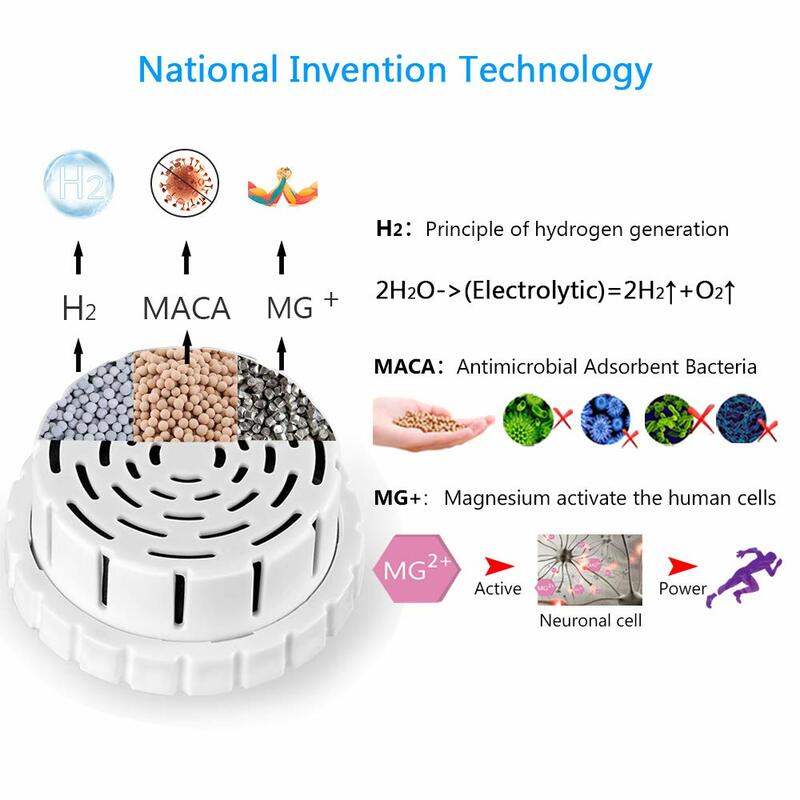 Hydrogen-rich water will become the new darling, hydrogen ions in the water can neutralize the body of excess active oxygen (2H2O + O2 = 2H2O) into water, with the urine excreted, help the cell metabolism, safety, without any side effects on the human body. 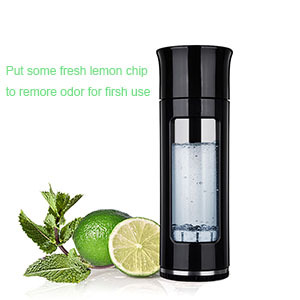 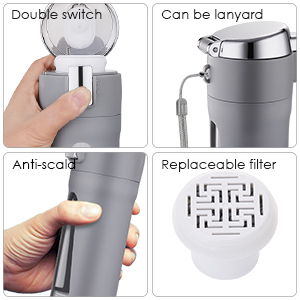 2.Clean and remove odor for first use: put some fresh orange peel or lemon chip in bottle,pour hot water with the temperature over 50℃ to shake it gently to keep the whole bottle to be cleaned thoroughly,keep it standing for 30 mins to empty it out, then use hot water with the temperature over 90℃ to clean and sterilize it twice, that’s finish odor removing and cleaning. 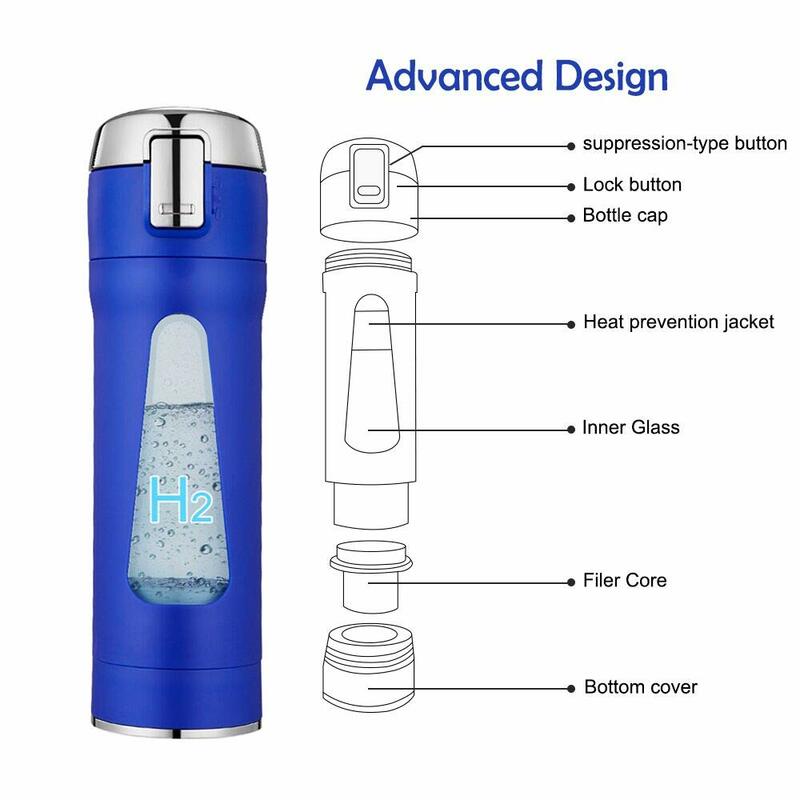 1.Food-grade material: Food-grade ABS, Integration of injection, high quality, durable. 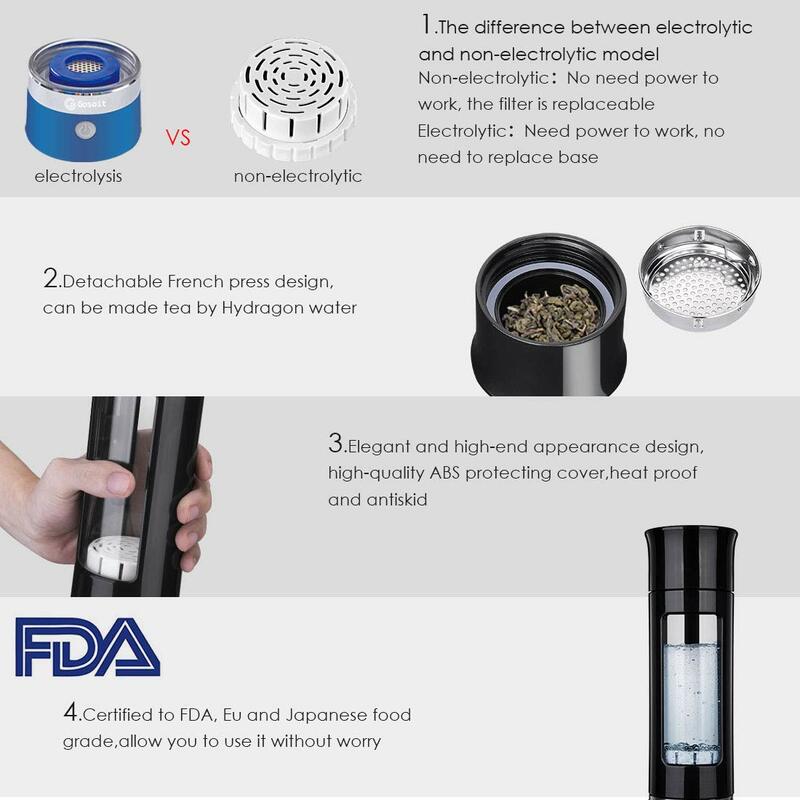 4.Both cold water and hot water are acceptable: hydrogen concentration will be improved 30% by hot water. 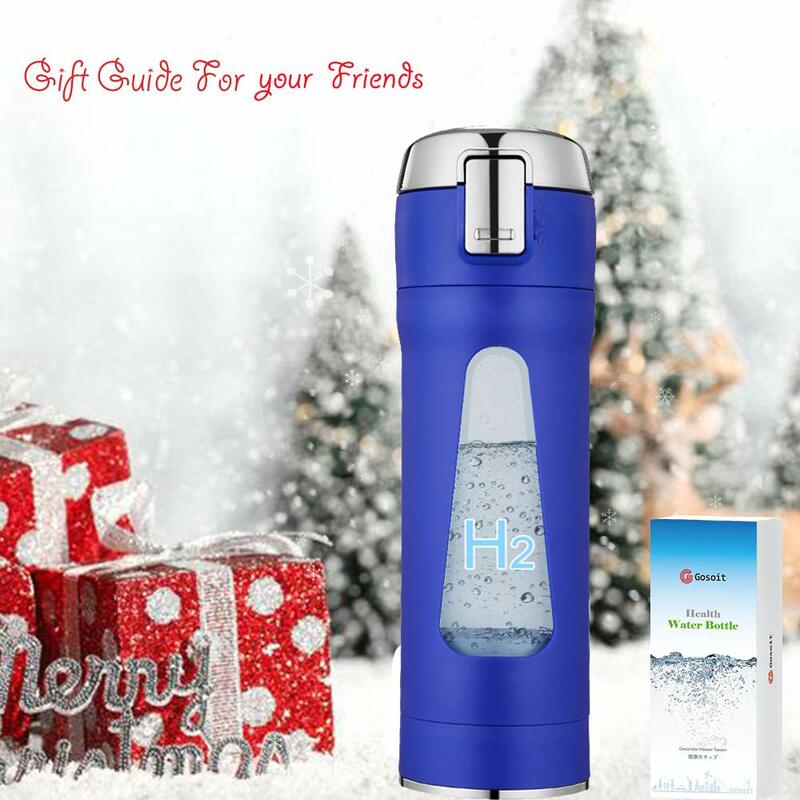 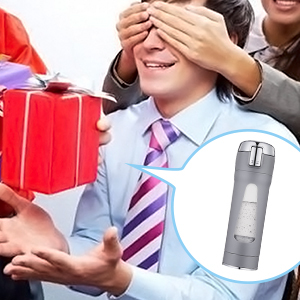 improve sub-health, it's a best choice for gift.